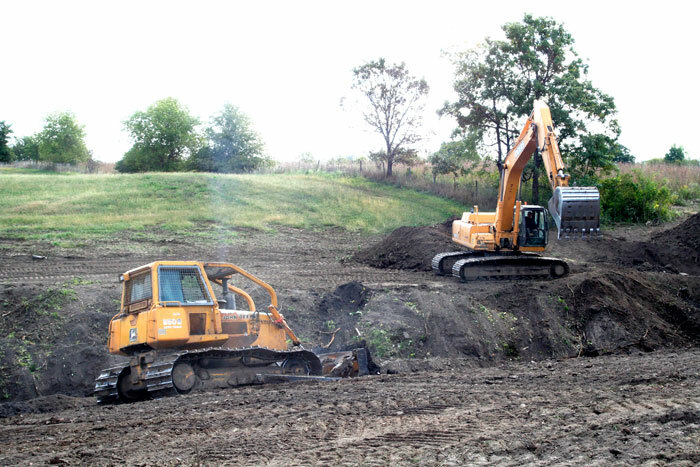 Both Bron tile plows working same job. 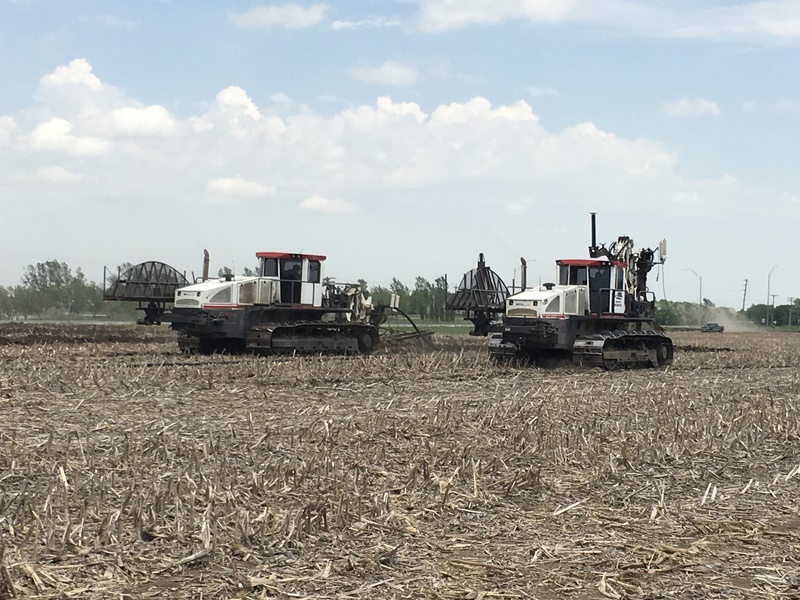 Plowing in 4″ tile near Bevington, IA. 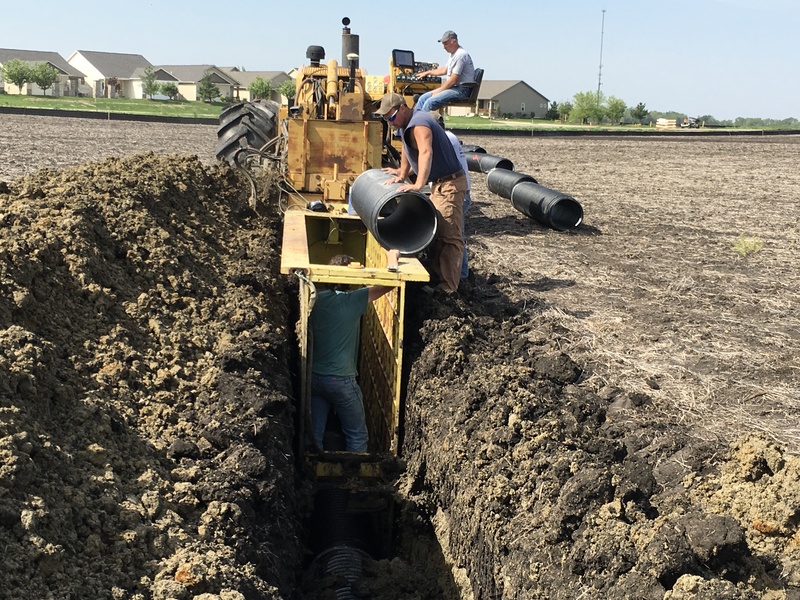 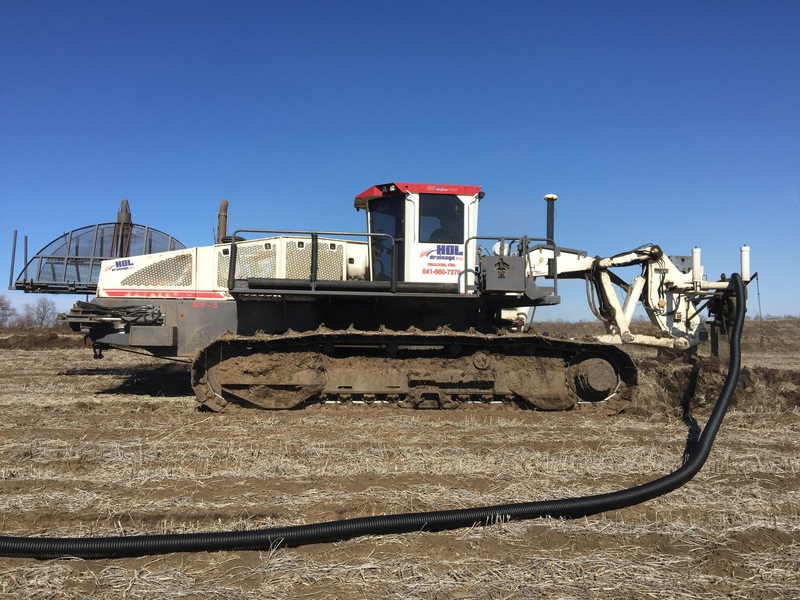 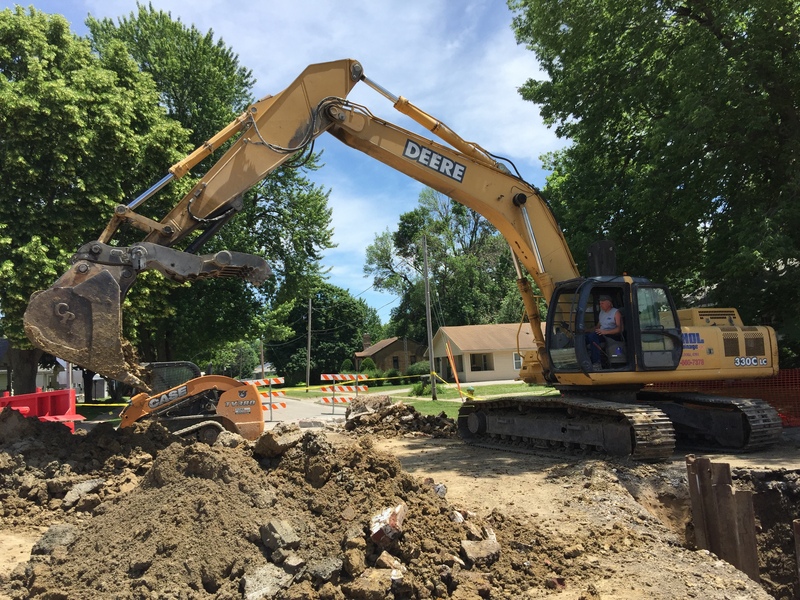 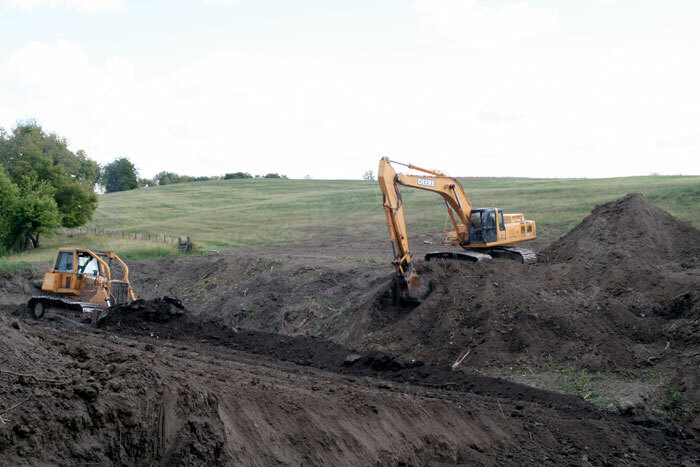 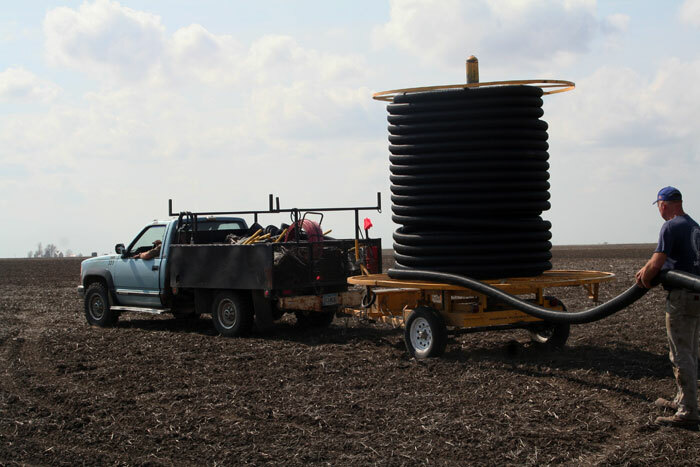 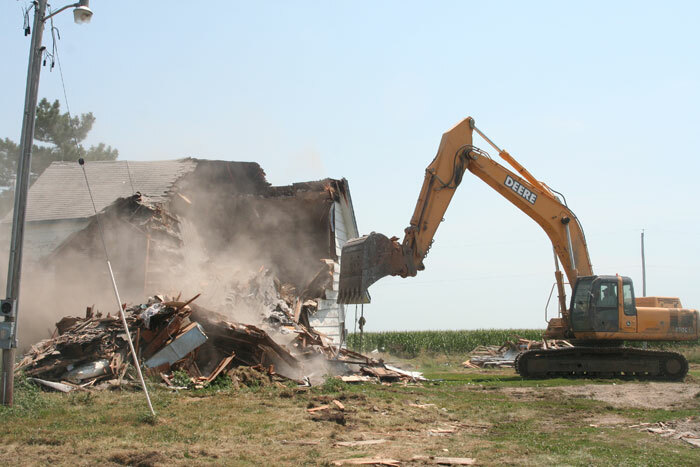 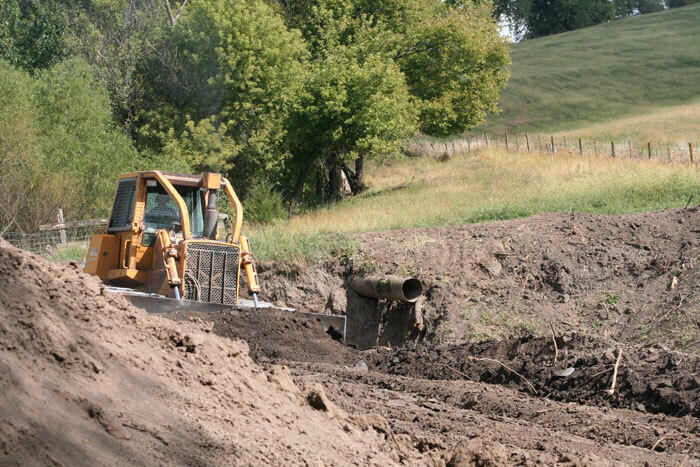 Installing 18″ near Urbandale, IA. 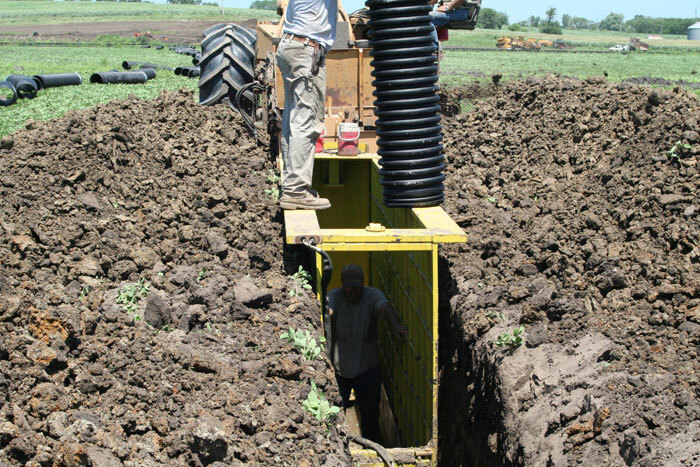 Working “the box” on a Main install.